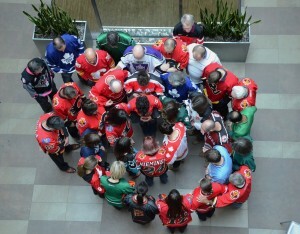 On Thursday April 12th Canadians were encouraged (by a woman in BC who took the idea to facebook) to wear Jersey’s in memory and support of the Humboldt Bronco’s, a tragedy that occurred on Friday April 6th, 2017. 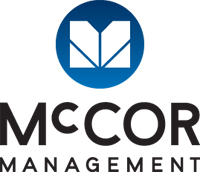 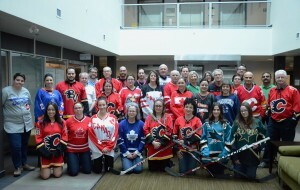 In addition to McCOR Calgary staff, the tenants and their staff of one of our premiere office buildings that McCOR manages in Calgary took to the idea and along with displaying hockey sticks in their offices, a number of them wore their jersey’s to work to show support that day. A couple of the photos taken that day were forward to Humboldt Bronco’s to show them that we are all thinking of them and their families.